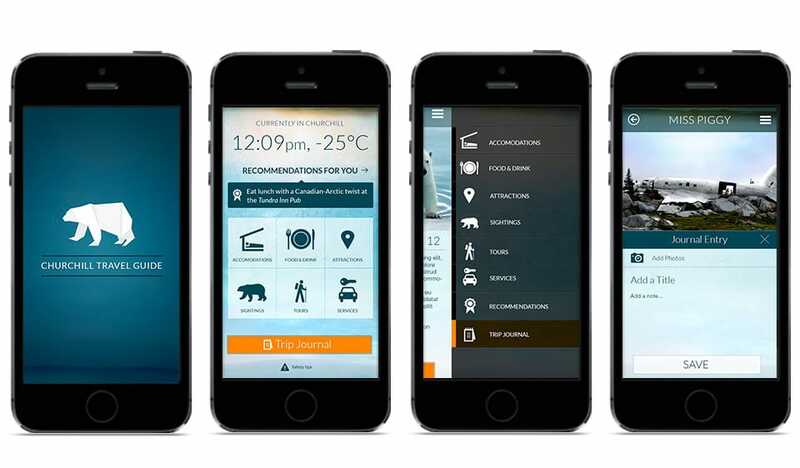 Frontiers North Adventures wanted to create an interactive mobile guidebook for their premium tour travellers and for other visitors to Churchill, Manitoba, Canada. The app had to be mobile, easy-to-use, content-rich, and had to allow users to geotag photos and find attractions without Internet or 3G connection. 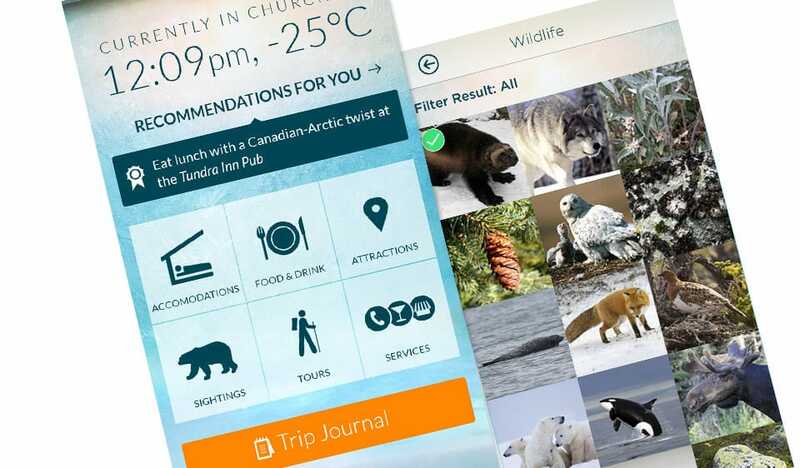 Tactica designed and developed an iPhone and iPad app that gives travelers inside knowledge about off-the-map attractions while bringing them even closer to subarctic wildlife and culture in Churchill. The app shares detailed information on everything from where to eat to why the northern lights glow. Best of all, the app gives visitors an easy way to record every interaction they have with wildlife for sharing and reminiscing later. The Churchill Travel Guide allows visitors to create journal entries about every wildlife sighting or attraction. These entries are easily shared via social networks such as Facebook or Twitter and are easily sent home by email. At the end of their trip, visitors will have a personalized record of their experiences. The app contains a comprehensive guide including detailed records for plant, mammal and bird wildlife; attractions in and around the town; accommodations and dining; and information about local shopping and essential services. collected valuable information on wildlife sightings. Frontiers North Adventures takes travellers from around the world on amazing adventures of Canada’s arctic north, delivering unique guided tours of the extraordinary wildlife, wide-open landscapes and the remarkable people and their customs.